Not everyone has the gift of hairstyling. Speaking from experience, I can braid hair and that’s about it. I have tried braid-out and twist-outs and failed miserably. I have even tried styling with a turban and let’s just say I should be thoroughly ashamed of calling myself a hair blogger. Needless to say, I am style-challenged and usually rock a wash and go since I’m good at it. I can do a few other styles that are pretty simple and look great, so when I saw Brandiga26 from Curly Q&A ask about what to do with her afro , I had to respond. I don't want [to] keep putting my hair in [an] afro. Can you help me? What style can I do in my hair? I do the same afro but I can't braid. Can you help me pick [a] style? I don't know what to do. Can leaving your hair out [cause] break[age] and dry your hair? Help me. Some feel that regularly wearing your hair loose is not as healthy as keeping it protected. I balk at that way of thinking. As a wash and go curly girl for most of the time, I know hair can be healthy and retain length when worn loose. You do not have to wear your hair out or in an afro all the time, and even if you are style-challenged, you can still rock simple and beautiful styles. Low buns, high buns, side buns, and even messy buns are great ways to change up a style without much effort. They are quick styles that can be casual or formal on any length. Buns can be curly or not and they can be jazzed up with scarves, headbands, or even flowers. What I truly love about buns is how it is a great style to use on old hair that was styled for something else like an afro. 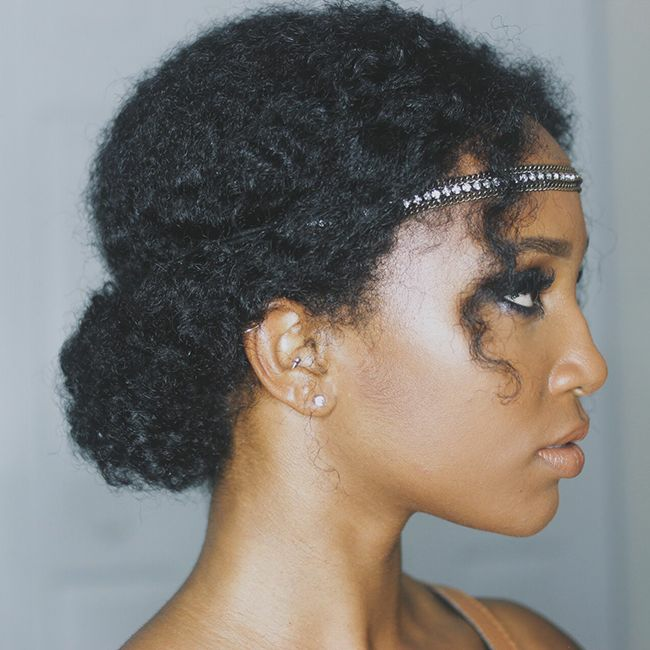 CaribBeauty shares how she creates stunning loose/messy low buns that be dressed down or up according to your taste or mood. Bantu knots are not just for creating a leave-out style and if you don’t believe me, then simply ask Dej Loaf or Blac Chyna who have both rocked gorgeous Bantu knots. While simple to create and actually a protective style the knots themselves are easy to install. If this style is new to you, check out ShineStruck's tutorial for easy Bantu knots, even on short hair. What simple styles do you like to create?